Looking for something to do this weekend? Here are a few ideas. "I'm always a little astonished when people tell me that they just don't like poetry," said AmalEl-Mohtar. "It's like someone saying, you know I don't really like music." El-Mohtar is the inaugural poet-in-residence at VERSeFest, Ottawa's annual celebration of the wide world of poetry which kicks off officially on Tuesday, March 26 but is holding events this weekend. This is not your polite parlour poetry of a bygone age, but a lively engagement of ideas and words from contemporary poets both near and far, expressing themselves in a range of forms from slam poetry and spoken word to lyrical musings on a myriad of provocative issues. "There's something for everyone," said El-Mohtar. "When you have an international festival like this, the kind of cross pollination that you get of voices and styles is truly amazing." Where: Ottawa City Hall, 110 Laurier Ave. W.
When: Saturday: 1 p.m. National Capital Region Showcase. ; 3 p.m. Showcase of francophone writers from the region; 7 p.m. Inauguration of poet laureates featuring readings from Ottawa's brand new poet laureates Deanna Young, Margaret Michelle Cook and AmalEl-Mohtar. Note: VERSeFest runs Tuesday through Sunday. Angélique, now on stage at the National Arts Centre, is a dark reminder of the horrors of slavery, from a little known chapter in Canada's past. It's also a celebration of a defiant and resilient heroine who was almost lost to history. 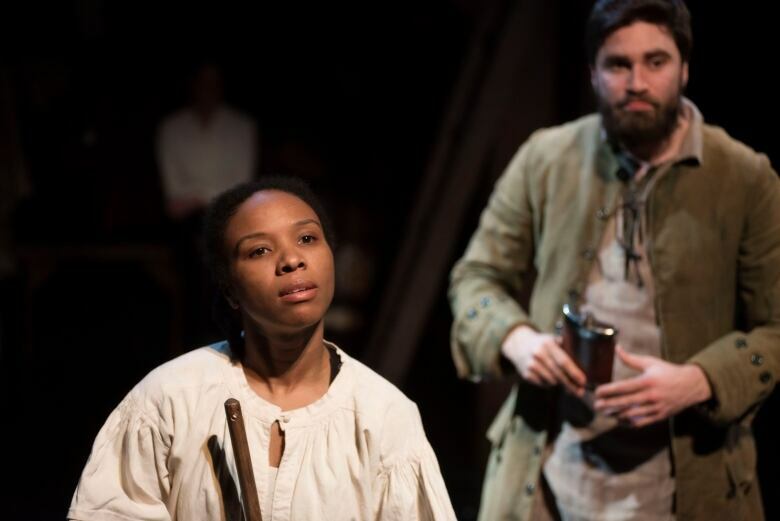 The play, written by Lorena Gale, is based on the real-life story of Marie-Joseph Angélique, an enslaved Black woman who was publicly executed in Montreal in 1734. She was accused of causing a fire that spread destruction through what is now known as Old Montreal, when she set her abusive owner's house ablaze. At the heart of the tragedy is the enduring spirit of defiance and dignity of the heroine as played by Montreal actor Jenny Brizard. Where: Babs Asper Theatre, National Arts Centre, 1 Elgin St. When: Friday 7:30 p.m. Saturday 2 p.m. and 7:30 p.m. The play runs until Mar. 31. Cost: Tickets start at $35. $15 rush tickets are available for ages 13-29. Tickets can be purchased here. 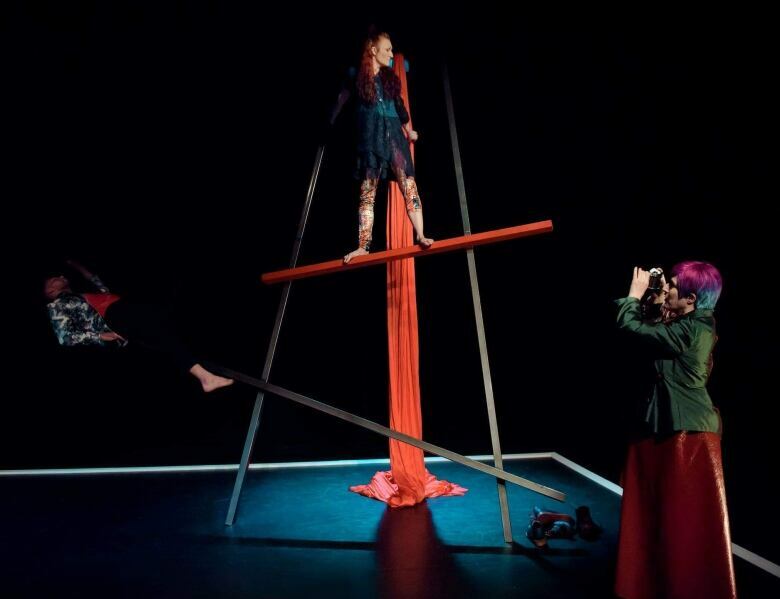 An actress wrapped in blood red silk, twists gracefully above the stage in Mishka Lavigne's new play Albumen. Actress and circus artist Andrée Rainville, embodies Jessa, an insecure young artist suffering from creative block who is dangling between a promising career or a loving relationship. In the meantime, she's developed a habit of donating her blood. The stage design is arresting and symbolic, where characters work out their shared destinies by climbing props or taking to the air. Ottawa favourite Margo MacDonald plays a driven artist and Mitchel Rose is the ardent suitor. Where: Arts Court Theatre, 2 Daly Ave. When: Friday 8 p.m. Saturday 2 p.m. and 8 p.m.